A pilot scheme is under way for a pioneering web-based system that helps cancer patients make crucial decisions about their treatment. 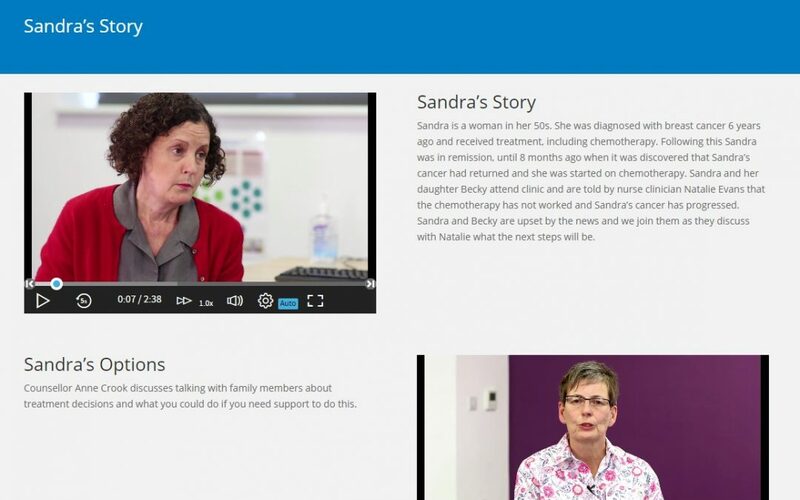 The platform, known as Can-GUIDE – or Cancer Goal Use in Decisions – features a series of films based on real experiences that support patients whose disease cannot be cured. It allows them to explore the implications of certain courses of treatment and hear how patients in similar situations to themselves reacted. In one video, a breast cancer patient in her 50s is seen discussing with her daughter and her specialist the benefits of undergoing a further, potentially debilitating, course of chemotherapy. In another film, a man in his 70s with pancreatic cancer discusses with his wife and his consultant the treatment options available to him and how these might affect the couple’s lifestyle. The website, which is password-protected, also features a goals and values questionnaire which allows patients to list their ambitions, priorities and any milestones they may have. This is designed to help patients discuss treatment options more productively with their oncologists. The platform has been in development for several months and has been designed with the help of patients and their families. Lyn Schumaker is a person affected by cancer who helped develop the Can-GUIDE platform. 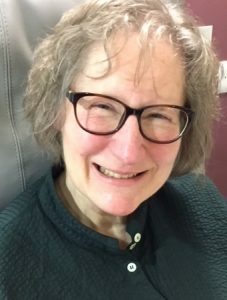 Lyn, who received a cancer diagnosis in 2009, said: ‘It’s human nature for both sides – patients and clinicians – to want to tiptoe around the subject if there’s a difficult diagnosis. ‘Can-GUIDE is really needed and it helps people work out exactly where they are with their treatment. It’s easy to navigate and the content of the website is very sensitive to different types of patients in different situations. The website includes a number of resources for patients listed under specific cancer types. These resources are chosen by specialist cancer nurses to give reliable and relevant information. Professor Janelle Yorke, Professor of Nursing at the University of Manchester, is Vanguard Innovation’s clinical lead for the project. She said: ‘We wanted to improve the way information about the benefits and risks of further treatment is presented to patients. We felt there was, occasionally, a lack of provision in this area. In the past, patients have sometimes made decisions without being fully aware of the implications. Prof Yorke said the website aimed to complement consultations with specialists, not replace them. The Can-GUIDE website is part of package of Vanguard Innovation measures to improve services for people living with and beyond cancer.